Precision cut and made of fine quality steel, these long-service files are available in 17 shapes. Cut 00 is Coarse, Cut 1 is Medium. 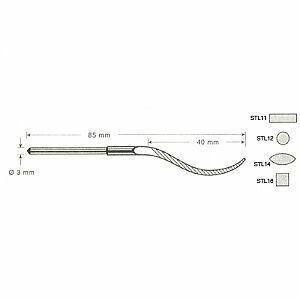 Swiss Riffler shapes come with 3.0mm shanks. These files meet virtually all shop requirements. All Files are 85mm / 3-3/8" OAL.